If you love to give books as holiday gifts (or just want a tome with which to spend your days off), here’s a year-end round-up of those that made my list for best books of the last six months. 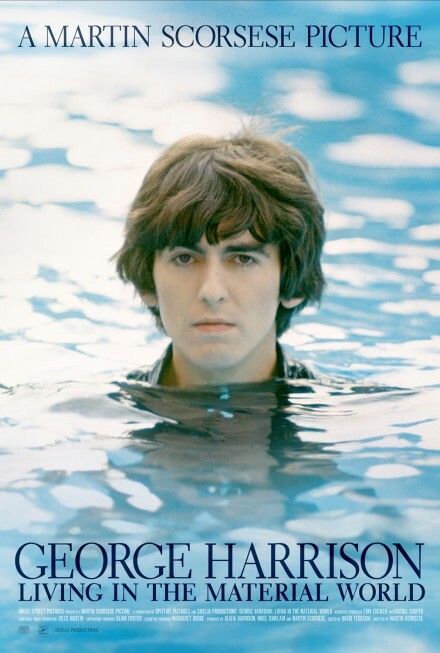 For the Beatle fan on your list, I recommend George Harrison: Living in the Material World, by George’s wife Olivia Harrison (Abrams, $40.00). This is an artfully arranged portrait of a truly enlightened man. The book draws from Harrison’s own personal photos, letters, and diaries. Reminiscences from his many friends as well as his family (including his son Dhani) are weaved throughout the book. But it is George’s unique, searching and sensitive voice which infuses every page and leaves you with the feeling of knowing him better. 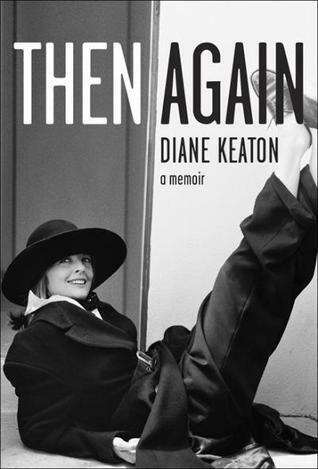 Further on the celebrity spectrum is a thoroughly delightful memoir by actress Diane Keaton, entitled Then Again (Random House, $26.00). Keaton has always been a complete original and an immensely talented actress. Now 65-years-old, she just keeps getting better even as she embraces the life of motherhood. (She adopted her daughter when she was 50 years old and later adopted a son.) This book is a look back, not only at her career and her relationships with Woody Allen, Warren Beatty, and Al Pacino, but at her extraordinary mother, Dorothy Keaton Hall. Then Again is really a dialogue with her mother’s diaries which Keaton found after her mother’s death. It’s a poignant look at a mother-daughter relationship that was loving in a completely uncomplicated way. It is this relationship and her mother’s absolutely unwavering support that Keaton says allowed her to have the success she ultimately attained, perhaps at the expense of her mother’s own aspirations. However, Keaton is a grateful daughter and her tribute to Dorothy in Then Again will make audiences love her even more. The next choice is another kind of Hollywood star memoir. It’s Michael Caine’s new book, Elephant to Hollywood (St. Martin’s Griffin, $15.99) and filled with big names, exotic places, and hit movies . Caine is a darned good storyteller as he showed in his previous reminiscence, What’s It All About? In Elephant, he tells what happened in his late fifties when the parts Hollywood was offering him were, to put it mildly, a big disappointment. Caine believed that he was washed up as an actor and felt it was time for him to retire. That’s until salvation came through the unlikely person of his old friend Jack Nicholson who showed him how acting in movies could be fun again. Caine takes us from his humble beginnings in a poverty stricken neighborhood in London to his intoxicating stardom beginning with “Alfie,” and then on to what he believes have been the most fulfilling moments, an Oscar for “The Cider House Rules” and a knighthood from Queen Elizabeth. Caine says that had he given up when he wanted to, these things would never have happened. To sum it up, Elephant to Hollywood is a good read about an amazing life. 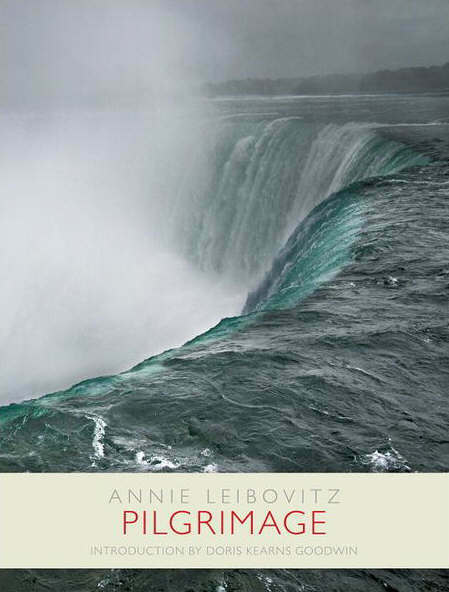 If you want to make a meaningful departure from the typical coffee table book, take a look at Annie Leibovitz’s new collection of photos, Pilgrimage (Random House, $50.00) The celebrated photog, who is renowned for her portraits, was granted access to historical sites that few of us ever get a chance to see: Thoreau’s cabin at Walden Pond, Freud’s last office in London, and Georgia O’Keefe’s adobe house in New Mexico. She also photographed simple objects that were part of history such as Lincoln’s blood stained gloves, Emily Dickinson’s only surviving dress, and Elvis’ Harley-Davidson motorcycle. This random visual diary of places and things brings together bits and pieces of our collective history, making Pilgrimage a moving book. For the dedicated foodie in your life, there’s a beautiful new cookbook based on the concept of eating home-cooked meals surrounded by the folks you love. (Maybe you’ve heard about that before?) You may have seen its handsome author on The Today Show or the Food Network. 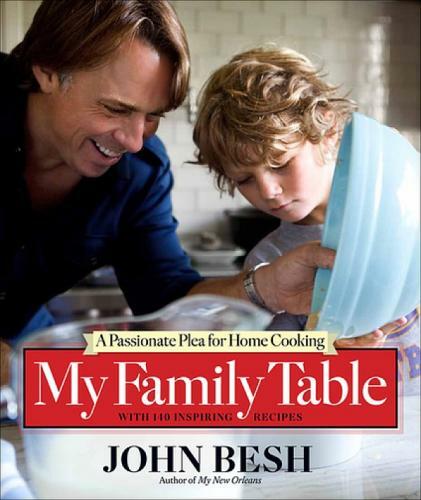 He is the New Orleans super-cook and restaurateur John Besh and his book is My Family Table: A Passionate Plea for Home Cooking (Andrews McMeel, $35.00). It’s as authentic a Louisiana specialty as you can get. In My Family Table, Besh dazzles us with banquet-like breakfasts and tantalizing barbecue. He’s got loads of food ideas that are right for any family occasion or holiday. Besh is a truly American cook. He isn’t shy about using butter and never discards pan drippings when he can use them to make gravy. Food critics are calling My Family Table the new American classic cookbook. If you do happen to buy it for someone, don’t forget to copy Besh’s recipe for Lemon Ice Box Pie before you give the book away. It’s amazing. 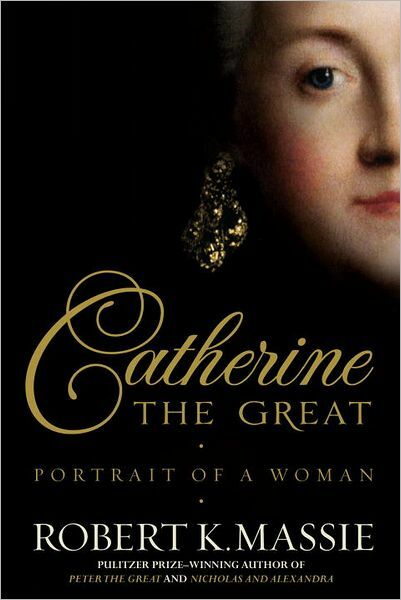 If you’re searching for a choice to please a biography lover, you cannot do better than the opulent account of the life of Russia’s greatest monarch, Catherine the Great: Portrait of a Woman, by Robert K. Massie (Random House, $35.00). Massie, who wrote the award-winning Nicholas and Alexandra, paints Catherine as a true child of the Enlightenment, a ruler who hoped to bring reform and progress to Russia. But it was not to be. Mother Russia was unready to accept the ideas of Voltaire and Catherine, his most devoted student. In the end, Catherine does leave her mark on Russia but not before Russia leaves its mark on her. Catherine is forced to become one tough customer, terribly shrewd, calculating, and vain. In her time, she had a retinue of lovers, usurped the Russian throne from her husband, and planned to expel her son from the line of succession. Massie’s broad, sweeping prose pulls the reader in. Within no time, one forgets everything but the people, scandals, and historical events that impacted the eighteenth-century Russian court, and you are the better for it. The other bio is Van Gogh: The Life, a peerlessly researched study of the artist’s life by Steven Naifeh and Gregory White Smith (Random House $40.00). While there have been many books on Van Gogh and the tragedy of his life, none has had the psychological acuity of this work which presents a much more sympathetic understanding of the Van Gogh than we have previously been presented. Naifeh and Smith, who won the Pulitzer Prize in 1991 for their biography of the artist Jackson Pollack, draw on Van Gogh’s voluminous letters to portray a man who was among the most creative spirits the world has ever seen, an intelligent and complex character who persevered for his art, even against his own intensity. Van Gogh: The Life has been deemed the definitive biography of the great Dutch post-impressionist, and it just may bring Naifeh and Smith their second Pulitzer Prize. Everyone wants to give happiness. Here’s your chance. 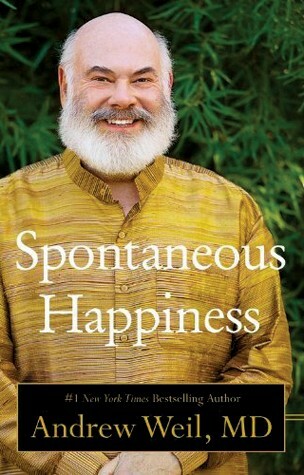 Spontaneous Happiness (Little, Brown, & Company, $27.99) by Dr. Andrew Weil gives us the basics for attaining optimum emotional health with an approach that brings together Eastern and Western psychology. He tackles inner well-being with a variety of techniques including managing stress, changing negative mental habits and adopting a spiritual practice. Plus, in Spontaneous Happiness, the good doctor outlines an eight-week program which includes nutrition, supplements, exercise, and lifestyle changes to get started on the quest. It has long been noted that Dr. Weill does impressive work in integrating alternative healing with scientific medical practice. He’s got the East-West dichotomy digested and synthesized, thereby saving his readers the work. He also offers these concepts about healing with caring, clarity, and common sense. In addition, Weill may be the most open-minded doctor on the planet. He extols the virtues of everything from gardening (something he strongly advocates for well-being because he does it himself) to hugs. While Dr. Andrew Weil may not bring you complete and everlasting bliss, Spontaneous Happiness will make you feel better. Isn’t that enough? One of this year’s most inspirational books has got to be Gabby: A Story of Courage and Hope, (Scribner, $26.99) by Mark Kelly and Gabrielle Giffords. I cannot imagine anyone failing to be moved by this story which is mostly told by Kelley in the book. He combines a history of his and Giffords’ lives with details of Gabby’s slow, painful journey back from the near fatal shooting that took the lives of six people. There is no doubt that while Gabrielle Giffords still has a substantial way to go toward total recovery, she will succeed. Kelly leaves the writing of the last chapter to his remarkable wife who tells the American people, “I will get stronger. I will return.” Perhaps her inevitable triumph will form the basis for another book? Here’s hoping that The Women’s Eye will be able to put it on next year’s list. Go Gabby! 10. Cool, Calm & Contentious by Merrill Markoe In her latest book, Cool, Calm & Contentious (Villard, $24.00), Merrill Markoe proves once again that she is a funny, smart writer who knows her way around the comedy business. She is so astute about things comedic that she has even identified the kind of mother one needs to make it in comedy.Moms who are narcissistic, hypercritical and filled with repressed rage seem to have the winning formula. Markoe’s own mother once read her comedy scripts and remarked, “Well, I don’t care for them, but I hope I’m wrong.”It takes quite a coping mechanism to defend your ego against that kind of onslaught, but apparently this is the stuff that comedic inspiration is made from. Markoe also shares her amusing musings on the challenges of adult relationships and why dogs are her favorite people. She is long past getting her due as a humorist of uncommon talent. 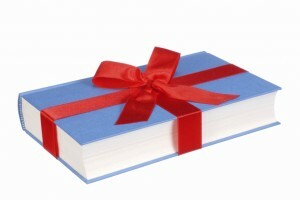 Give this book and make somebody laugh! If you’ve read a book that you really enjoyed and want to recommend to our TWE audience, email us at thewomenseye@gmail.com,and we may include it in a future list of Reader Picks.